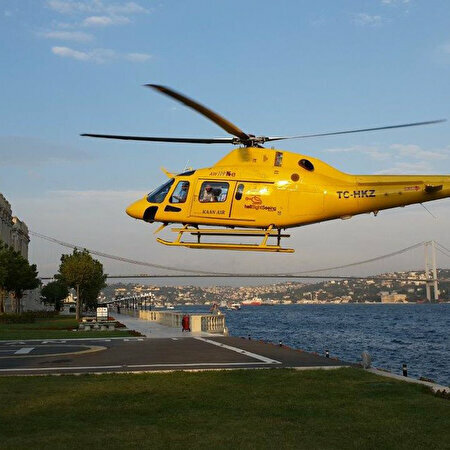 You can see Istanbul, which is one of the most beautiful cities in the World, from helicopter and you can also take photos and shoot videos on Sundays. Suleymaniye Mosque, Beyazit Tower, Grand Bazaar, Hipodrom, Blue Mosque, Hagia Sophia, Topkapı Palace. Galata Bridge, Church of the Pantocrator, Valens Aqueduct, Patriarchal Church of St. George (Fener Patriarchal), Fatih Mosque, Rahmi Koc Museum, Church of St Stephen of the Bulgars (Metal Kilise), Eyup Sultan, Pierre Loti Cafe, Feshane, Surlar (Sea Walls), Kariye Museum, Miniaturk. Galata Tower, Dolmabahce Palace, Inonu Stadium, Taksim Square, Ciragan Palace, Bosphorus Bridge, Ortakoy Square and Mosque, Rumelian Castle (Fortress of Europe), Bebek Cove, business centers in Levent and Maslak, Turk Telekom Arena Galatasaray Stadium. * All reservations must be finalized minimum 10 working days prior to the beginning of the services. * These prices are not valid for official and national holidays like New Year’s Eve. During these times a different pricing policy is available. * Our staff will be in contact with you after checking the helicopter’s availability. You may request more details from Biggtravel via 0216 538 65 66 about our products.